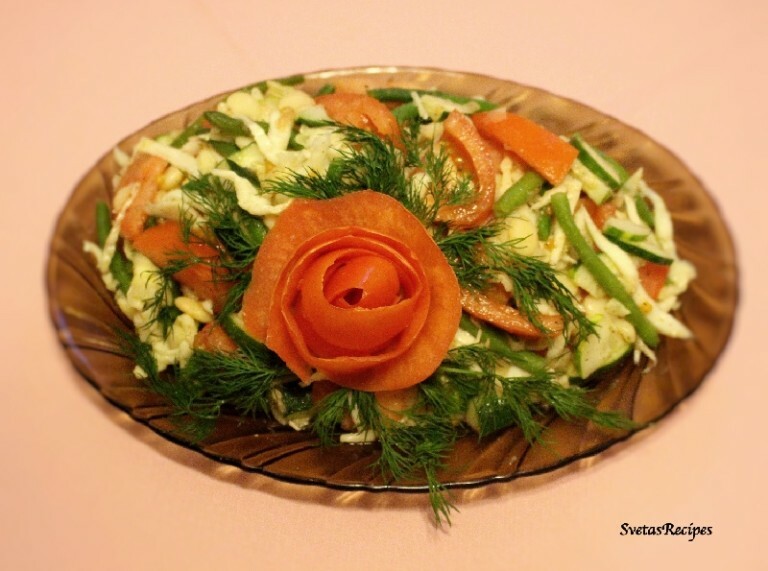 This salad is very unique and beautiful. Im having guests over tomorrow and I’m looking forward to them enjoying it. I hope you also enjoy this recipes. 1.) Place shredded cabbage into a large bowl also add your diced cucumbers and also dice your tomatoes. After Boil your green beens for about 4 minutes. 2.) 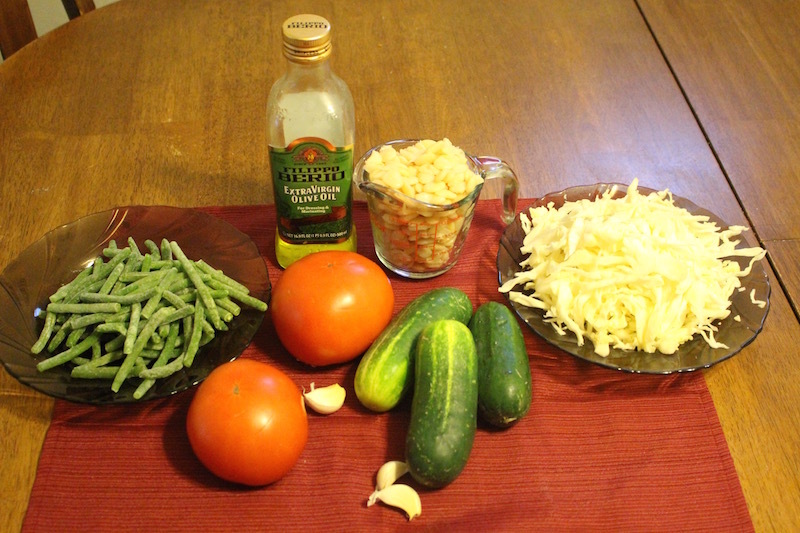 In a large bowl combine add tomatoes, cooked white beans, french green beans, and vegetable oil/olive oil. 3.) Also add crushed garlic and seasoning. 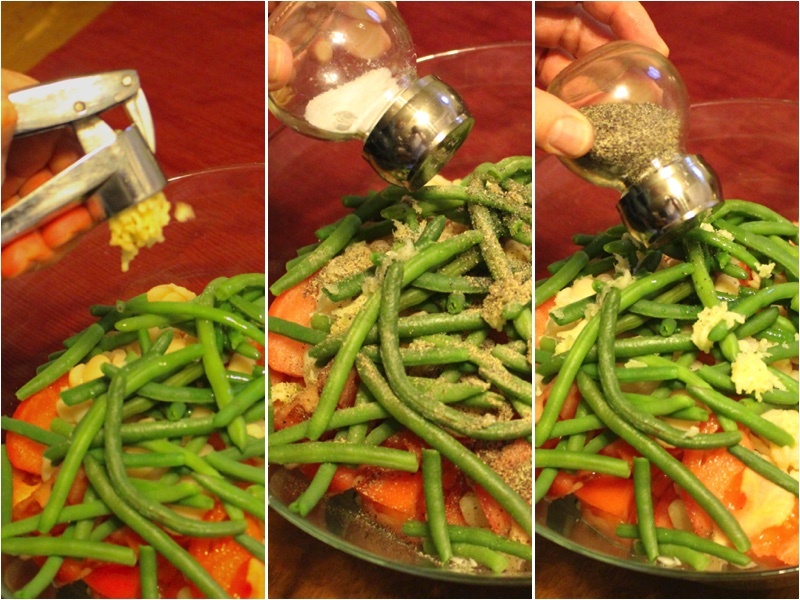 Now mix together your ingredients and place on a serving dish. Let it sit for 20 minutes and last but not least enjoy. 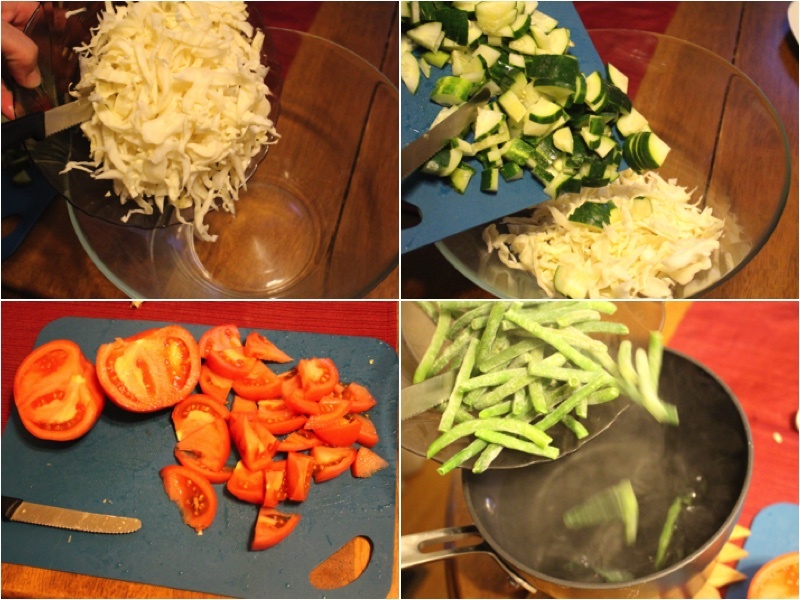 Place shredded cabbage into a large bowl also add your diced cucumbers and also dice your tomatoes. After Boil your green beens for about 4 minutes. 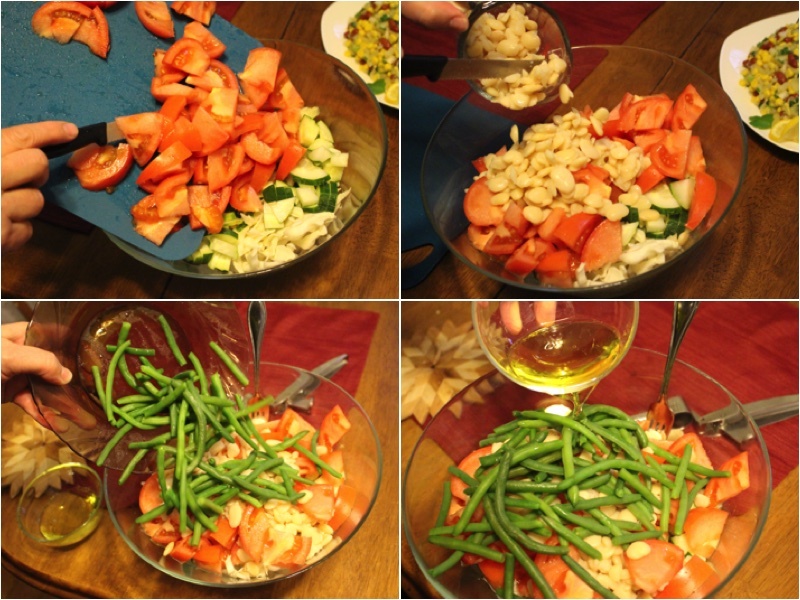 In a large bowl combine add tomatoes, cooked white beans, french green beans, and vegetable oil/olive oil. Also add crushed garlic and seasoning. Now mix together your ingredients and place on a serving dish. Let it sit for 20 minutes and last but not least enjoy.